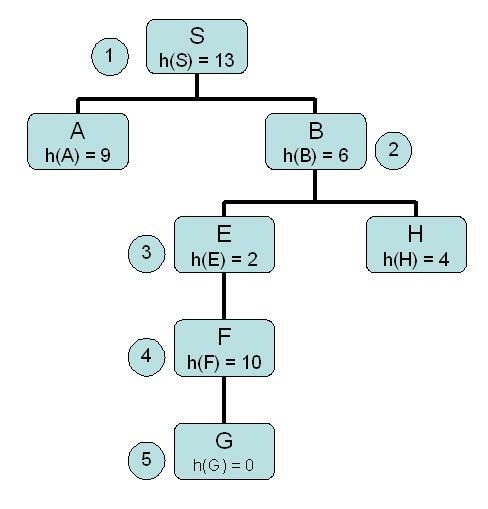 Suppose that you need to find a path between S and G in the following graph. The number attached to each edge in the graph represents the COST of traversing the edge. 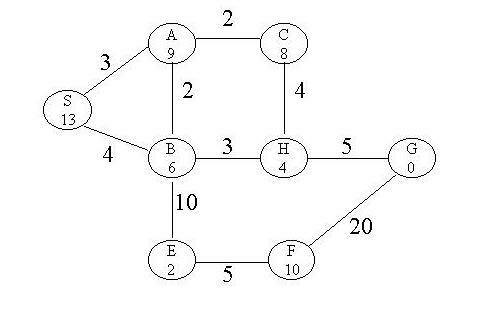 The number inside each node represents a heuristic under-estimate of the distance of the node to the goal G.
For EACH of the following search methods list the nodes in the order in which they are EXPANDED by the search method while looking for a solution. Also, show the search tree (or show the sequence of queue states instead if you prefer) as it is constructed by the search method. When everything else is equal, order the nodes in alphabetical order. In this problem, you are asked to state an exhaustive list of conditions under which one would prefer a search strategy over another. An illustration is provided below. A shallow solution (path from initial state to goal state) is preferred. A good heuristic that underestimates the distance to the goal is available. Very little memory is available to store the search tree. Backtracking isn't necessary to find the solution. A shallow solution is preferred. The search tree may contain large or infinite branches. There is a time limit on the search. Use the minimax procedure TOGETHER WITH ALPHA-BETA PRUNING to select your next move. Mark with the word "PRUNE" the nodes/branches that don't need to be evaluated (and don't expand those unnecessary branches) . Show your work on an adversarial search tree and explain your answer. Consider the following set of rules for identifying animals. Solve the following problems. Show your work. (10 points) Use backward chaining to determine whether or not hobbes is a tiger. 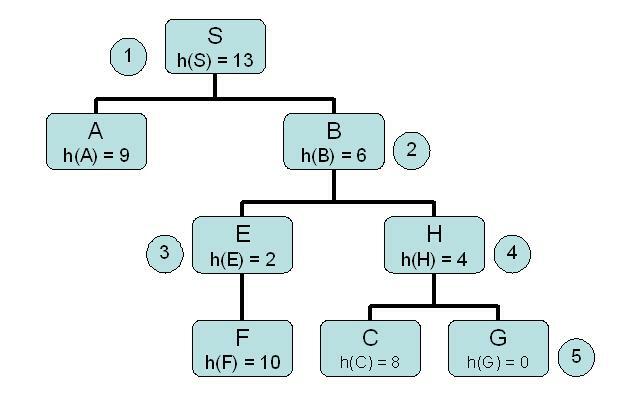 Construct a tree showing the steps followed by backward chaining and show when and how the working memory is updated during the depth 1st search. (10 points) Use forward chaining to derive ALL assertions that are derivable from this knowledge base (that is, from the set of rules together with the assertions in the working memory). Construct all trees showing the steps followed by forward chaining and show when and how the working memory is updated during the process. hence rule R2 is not triggered. and so the forward chaining process stops. There is someone who loves Mary. variable symbols: w, x, y, z. (10 points) Translate the axioms and the negation of the conclusion into clausal form. Show each step of the translation (remember that the order in which you apply the steps is crucial). (10 points) Apply resolution (state explicitly what clauses are resolved and which substitutions are made) until the empty clause is found. then the statement "mary is happy" is a logical consequence of A1, A2, and A3.